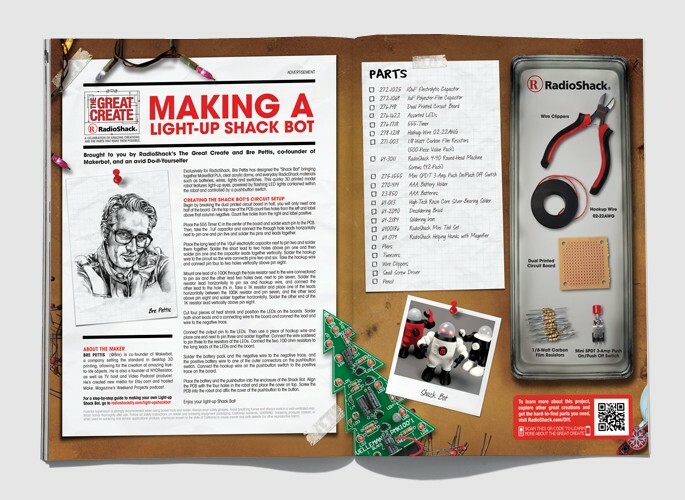 Through a custom insert series, WIRED showcased RadioShack’s “The Great Create” platform. 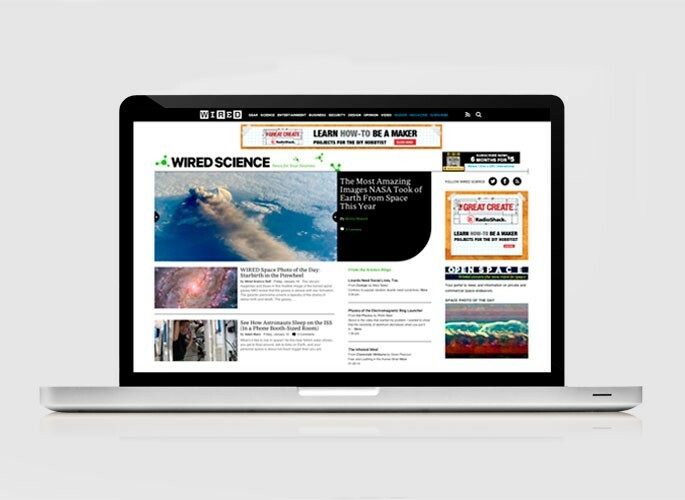 Celebrating amazing creations and the parts that make them possible, this series featured DIY projects brought to life by real maker’s from the WIRED world. a RadioShack shopping list of parts. Tablet: Custom inserts were showcased within the WIRED App on the tablet, including links to the project instructions. 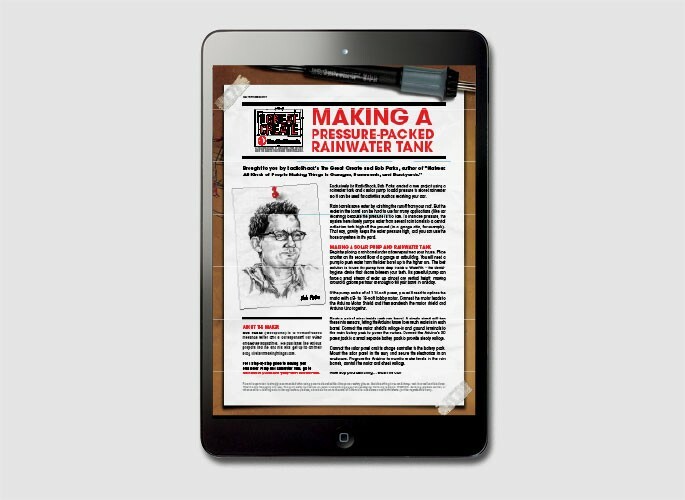 Digital: Digital brand media was used as a promotional medium to excite readers about “The Great Create” program.